Avapro (irbesartan) is used alone or in combination with other medications to treat high blood pressure. It is also used to treat kidney disease caused by diabetes in patients with type 2 diabetes (condition in which the body does not use insulin normally and therefore cannot control the amount of sugar in the blood) and high blood pressure. Avapro (irbesartan) is in a class of medications called angiotensin II receptor antagonists. It works by blocking the action of certain natural substances that tighten the blood vessels, allowing the blood to flow more smoothly and the heart to pump more efficiently. Avapro (irbesartan) comes as a tablet to take by mouth. It is usually taken once a day with or without food. To help you remember to take Avapro (irbesartan), take it at around the same time every day. Follow the directions on your prescription label carefully, and ask your doctor or pharmacist to explain any part you do not understand. 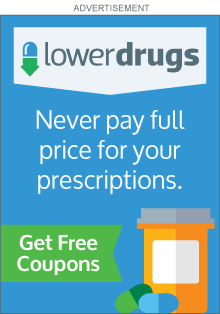 Take Avapro (irbesartan) exactly as directed. Do not take more or less of it or take it more often than prescribed by your doctor. Your doctor may start you on a low dose of Avapro (irbesartan) and gradually increase your dose. Avapro (irbesartan) controls high blood pressure but does not cure it. It may take 2 weeks for you to notice the full benefit of Avapro (irbesartan). Continue to take Avapro (irbesartan) even if you feel well. Do not stop taking Avapro (irbesartan) without talking to your doctor. Avapro (irbesartan) is also used sometimes to treat congestive heart failure (condition in which the heart is unable to pump enough blood to the rest of the body). Talk to your doctor about the possible risks of using this medication for your condition. tell your doctor and pharmacist if you are allergic to Avapro (irbesartan),any other medications, or any of the ingredients in Avapro (irbesartan) tablets. Ask your pharmacist for a list of the ingredients. you should know that Avapro (irbesartan) may cause dizziness, lightheadedness, and fainting when you get up too quickly from a lying position. This is more common when you first start taking Avapro (irbesartan). To help avoid this problem, get out of bed slowly, resting your feet on the floor for a few minutes before standing up. Avapro (irbesartan) may cause other side effects. Call your doctor if you have any unusual problems while taking this medication. Keep all appointments with your doctor and the laboratory. Your blood pressure should be checked regularly to determine your response to Avapro (irbesartan).